This portable backs stretcher offers a lightweight, easy-to-use and effective way to decompress the back whether at home or on-the-go. With a simple push on the handles, you can easily apply gentle, user-controlled traction to stretch and relax tense muscles. The P2 makes a great alternative to traditional inversion equipment as well as a portable travel solution for those who love their Teeter Inversion Table. 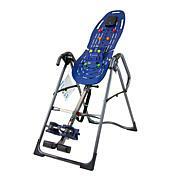 Teeter decompression devices are indicated for the following conditions: back pain, muscle tension, degenerative disc disease, spinal degenerative joint disease, spinal stenosis, herniated disc, spinal curvature due to tight muscles, sciatica, muscle spasm and facet syndrome. After reading reviews, I decided to order. Soooo glad I did, upon first use I felt the difference. I have problems hip flexors, hamstring and muscle spasm. This honestly works, I use it daily, but one day I forgot to us it and immediately felt the difference. Thank you so much for this pain reliever. An MRI showed herniated & bulging discs & surgeon said I could try steroid injection or chiro but will ultimately need diskectomy. Chiro offered no relief but a free trial session on the decompression machine did. However, $5000 was cost of continuing that therapy & insurance pays nothing.This device offered me as much benefit as the expensive machine at chiros ofc & I can use it whenever its convenient for me! Surgery may be in my future but for now maintaining very tolerable pain level. 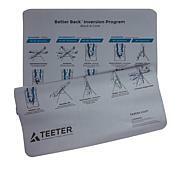 I have lower back issues and this helps relieve the tightness and pain. I consulted with my chiropractor and she agreed that I would benefit from using this. This really helped my lower back. I only doing it every morning like 2 minutes. My pain in my lower back gone. I start my day stretching with my teeter. 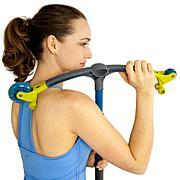 Thank you, HSN for Teeter. This small contraption is so far working. Let's see how it continues to work. I will update if I'm able to.